The 2017 edition of Fuji Rock Festival boasts one of the more eclectic lineups the long-running gathering has had in recent years. The headliners tell the tale: Cartoon rockers Gorillaz share the same font size as electronic pop star Bjork and dance music weirdo Aphex Twin. Dig deeper and you’ll find everything from big-stage EDM to Japanese “group sounds” legends. 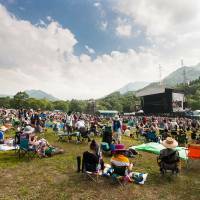 To help you navigate three days up in Naeba, here are some of The Japan Times’ music writers’ insights into this year’s Fuji Rock. Fuji Rock’s main Green Stage includes some titans of Japanese music, from Shibuya-kei cornerstone Cornelius to “Your Name.” soundtrackers Radwimps. Yet it’s the lineups elsewhere at the festival that tell the story of Japanese music in 2017. This year’s festival features a mix of outfits on the rise, from the hammock-ready good vibrations of Never Young Beach and Yogee New Waves to the more aggressive garage stylings of DYGL. And highlighting the variety of Japan’s new wave of bands, punters can also check the synth-smudged dream pop of The fin. or the disorienting sounds of yahyel. Check out the smaller stages to get a real sense of what’s going on right now. Must-see: Mondo Grosso, Shinichi Osawa’s project, returned with its first new album in 14 years, and it’s a pop fever dream bound to shine at the Red Marquee on Saturday. Friday night headliners Gorillaz have assembled an impressive mixed-media show to accompany their new album, “Humanz.” Damon Albarn leads his hairy crew of primates through a nonstop thrill ride that could very well feature a number of surprise guests. On Saturday, head to the Red Marquee stage to catch teenage sensations the Lemon Twigs, who right now evoke the spirit and musicianship of 1970s rock better than any other band. If you’re OK with being a bit tired on Monday, the late-night Red Marquee stretch that begins with Wednesday Campanella on Sunday may be a great way to close out the weekend. Must-see: Be sure to witness the return of shoegaze heroes Slowdive, who offer up one of the better examples of how to do a band reunion right. If you can’t commit to the whole weekend, enjoying Fuji Rock in one day is entirely doable provided you get in Saturday morning and head out on one of Sunday’s first trains — you can sleep later. Remember, the one-day ticket still gives you access to nearly 20 hours of live music. Since you’re in a bit of a time crunch, ride the Dragondola up to the Day Dreaming and Silent Breeze stage as soon as you arrive for some ambient electronic in the misty mountains. You’ll need your energy for the all-night Tribal Circus anyway. Must-see: Aphex Twin is a reclusive electronic music legend making a rare appearance. Catch his set because you never know when he’ll play Japan again! If you’re craving anything heavy though, Queens Of The Stone Age are the act to catch on Friday at the White Stage — provided they show up. The band hasn’t performed in Japan since 2003, cancelling scheduled festival performances in 2005, 2008 and 2011. But surely they’ll be there this time, right? Must-see: Hip-hop-infused rock duo Uhnellys gave a performance at Naeba Shokudo in 2013 that was one of the highlights of that year. Here’s hoping lightning strikes twice! 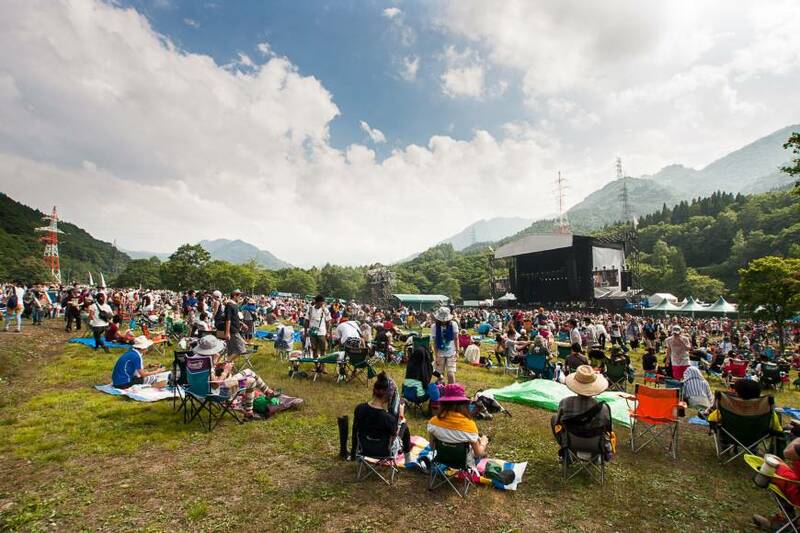 Fuji Rock Festival takes place at Naeba Ski Resort in Niigata Prefecture on July 28, 29 and 30. For more information, visit www.fujirock-eng.com.